Question back, who of us is Speedy Gonzales and who is Road Runner? We are not at all on the run. We just have a lot of fun together! It’s fun to be together on the road. We both know that we are similar fit. No one must prove or hide anything from the other. We have a great positive energy in the team. It just works. And it creates an ingenious dynamics! Most high-altitude climbers do acclimatizing according to the motto: Conserve your strength so that you have enough power left for the actual goal. 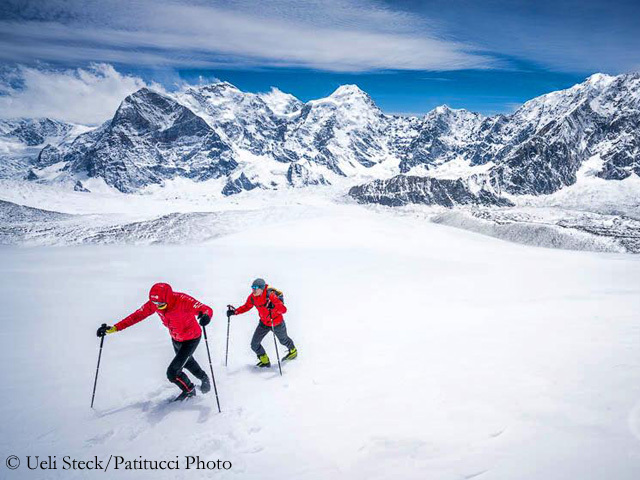 Instead, you have run in the Khumbu region a distance of 57 kilometers over several passes in 12 three-quarter hours. 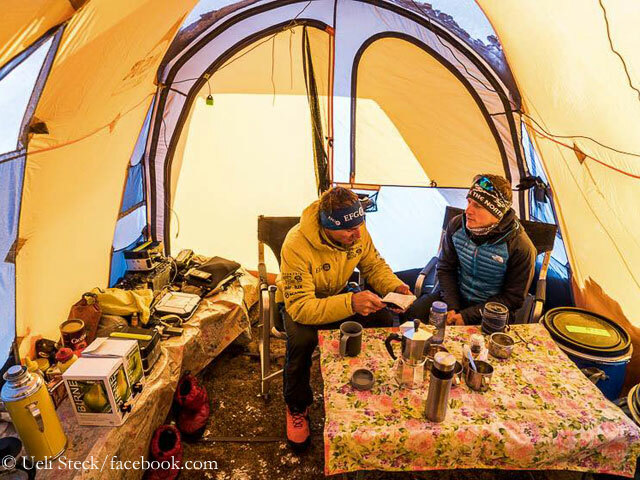 What is the logic behind this high-speed acclimatization? Most climbers do high altitude mountaineering as in the days of Messner. I personally (Ueli) do not see much progress. Of course you have to be careful, because e.g. 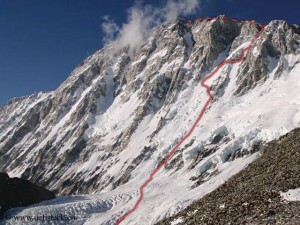 at 5,000 meters, the regeneration takes longer, and actually each climber behaves very individually in high altitude. 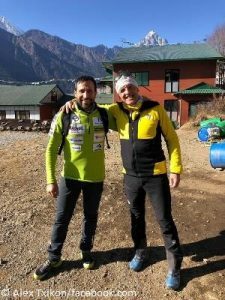 Kilian Jornet (a professional Spanish ski mountaineer and mountain trail runner), for example, believes that you can run 50 kilometers every day! I am still far away from that, but it shows what could be possible. In the end you just have to know your body. And everyone has to make decisions for himself and to assess how high his personal performance is, and how fast he is able to ascend or move in high altitude. We both have considerable experience in high altitude and can check out what can be optimized without actually losing all our power. 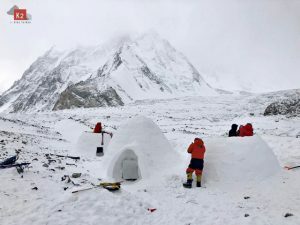 You have pitched up your Base Camp below Shishapangma South Face. How are the conditions in the wall where you want to climb a new route? We have already been at the bottom of South Face. Quite simply, it looks awesome. Now we hope it remains like this until the suitable weather window opens. What will be the main focus of your planned first ascent, possibly including the traverse of the mountain: the aesthetic of the line, difficulty, fun…? The route speaks for itself. A direct logical line on an eight-thousander, that’s truly fascinating. 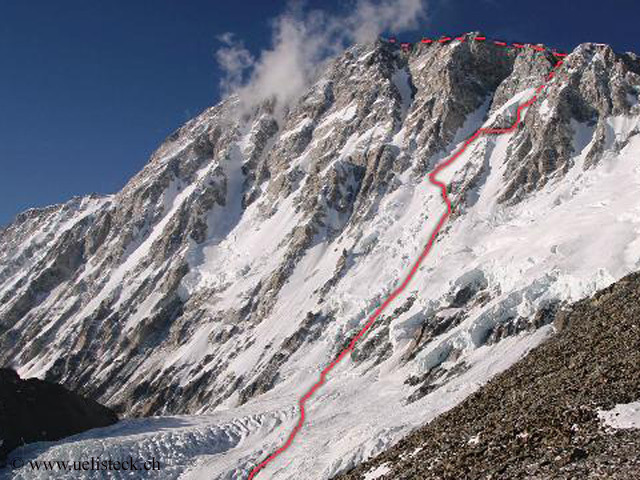 In the first place we want to climb via this route to the summit and go home healthy. We’ll see how fast we are, this depends on the technical difficulties. We will belay normally, with rope and pitons. It doesn’t matter whether we need two days or one or three. 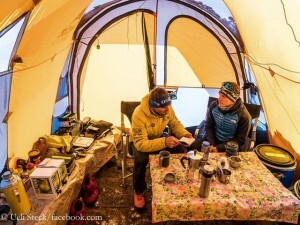 But we are not very motivated to spend as many nights as possible on the mountain. The traverse would certainly be the icing on the cake. 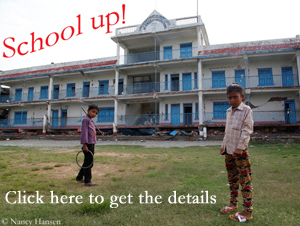 Last Monday was the first anniversary of the devastating earthquake in Nepal. 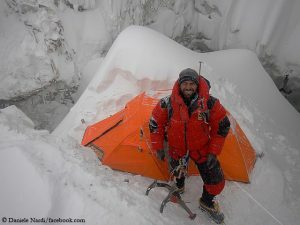 How have you experienced the people in the Himalayas during the past weeks? People got used to the aftershocks and the situation. It’s impressive how the Nepali have got accustomed to the little tremors, which also happened again when we were traveling in Khumbu. But they have no other choice than to take it as it is. And it’s really great how everything is back to normal and works.